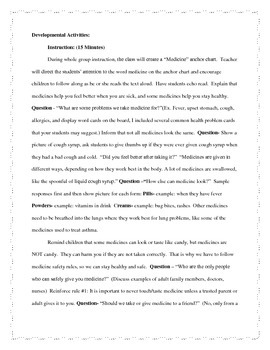 Included in this lesson is step-by-step directions, everything from the anticipatory set to, instruction, which includes higher level questions, guided practice activity and an independent practice activity. 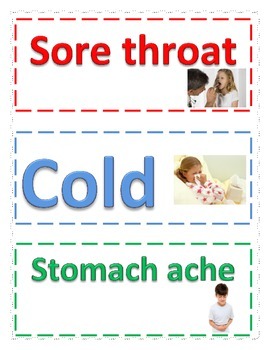 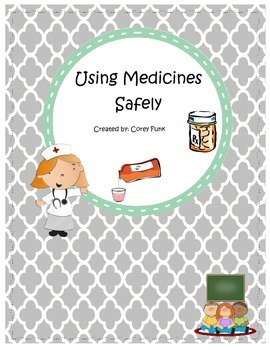 In addition, I included a medicine safety booklet that you can print and put together for your students to take home. 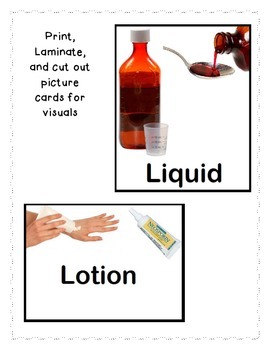 This lesson meets National Health Standards for Kindergarten but can be adapted for first grade as well.